I have a new favourite half. The route, the atmosphere, the impeccable organisation, the indescribable sound of 16,000 pairs of trainers setting off and of course that sense of achievement. Why do I run? Days like today. Maybe it’s that I’ve lived in London that bit longer. This was my third Royal Parks, but this time, every corner, every turn held a memory. I felt so proud to be running in my home town. There is something magical about running past Big Ben and Parliament, along a traffic-free Thames, through Admiralty Arch, down the Mall, not to mention the parks themselves. On a crisp, sunny, autumnal day, the golden colours of the last seven miles in Hyde Park were simply stunning. I wish I’d had my camera! I am never going to set a world record, but was pleased to stay comfortably around the 10 minute mile mark for most of the race – steady and consistent. That said, I was somewhat embarrassed to be overtaken by a guy carrying a four ft trunk on his back at the 5 mile mark! The course is flat and the occasional uphill slope disappeared quickly – and my goodness those downhills give you a good burst of energy! Unsurprisingly given minimal training, I did slip into the walk-run routine around miles 8-10, but from mile 11 onwards, walking feels like cheating – and I upped my pace for the last km to meet my target time of 2h17 (albeit a moving goalpost!). 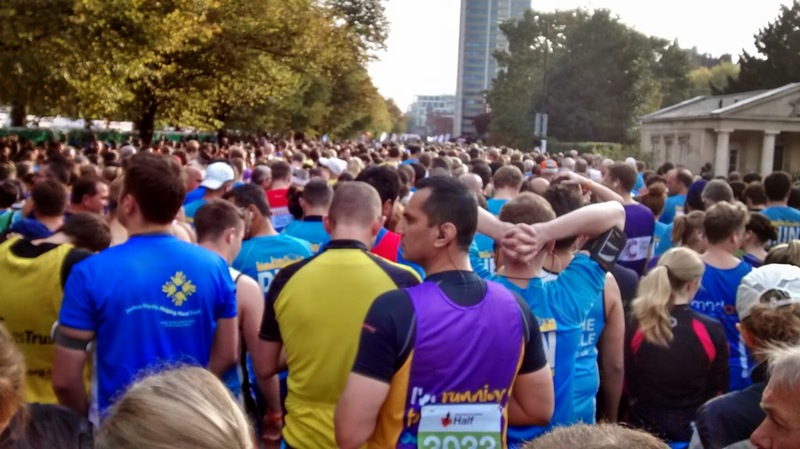 Today’s 16,000 runners showed grit and determination, soldiering on despite very painful looking limps, and there were so many personal stories worn on t-shirts. Charity cheering points were electric, and spectators were three deep in places. That moment when we re-entered Hyde Park at mile 6 was unreal. You couldn’t help but smile back at everyone willing you on! I have only ever experienced that kind of warmth and energy at the London Marathon – to be part of that felt truly special. 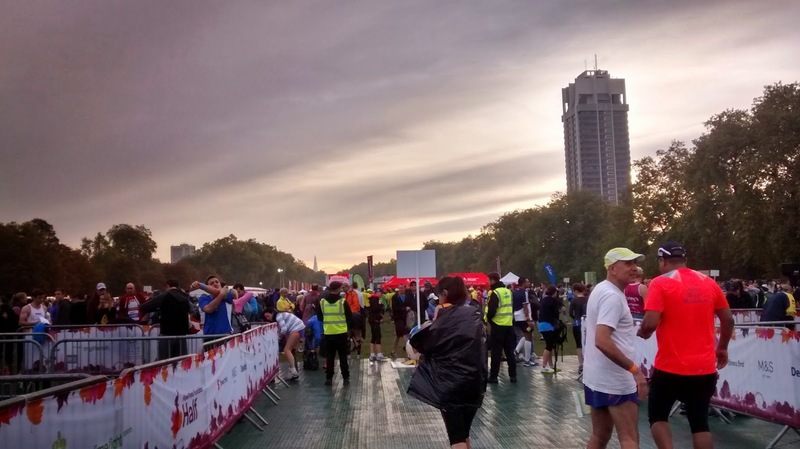 The race was brilliantly organised – efficient bag drop, ample portaloos (very important), the course stayed wide for the mostpart (although there was some runner congestion – it could be difficult to hit a PB), and the entire route was free from leaves – a remarkable feat! It all made such a difference. 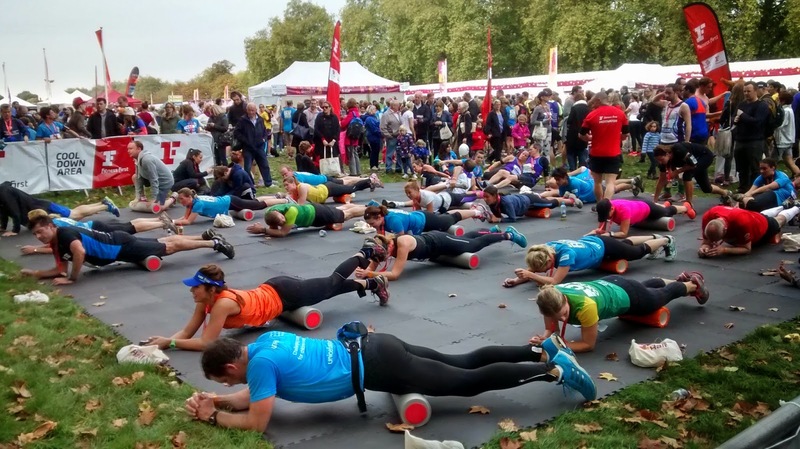 The race day festival was well thought through, from the food stalls and Pimms tent, the live choir, the screens dotted around showing runners crossing the finish line, the climbing wall, giant games, as well as the obligatory mass warm up and stretching classes. I’d gone on my own so didn’t hang around, but there was plenty there to keep you busy. One of the things I love most about race day is that running is a complete equaliser. Where you would usually get funny looks for talking to strangers on the tube, I managed to swap race stories with finishers on the bus and on the train home – and a shout out to Tom and Katie who I met in the loo queue and gave me a cheer at mile 8! This time round a PB was out of reach, but I’m happy with my best half in four years. 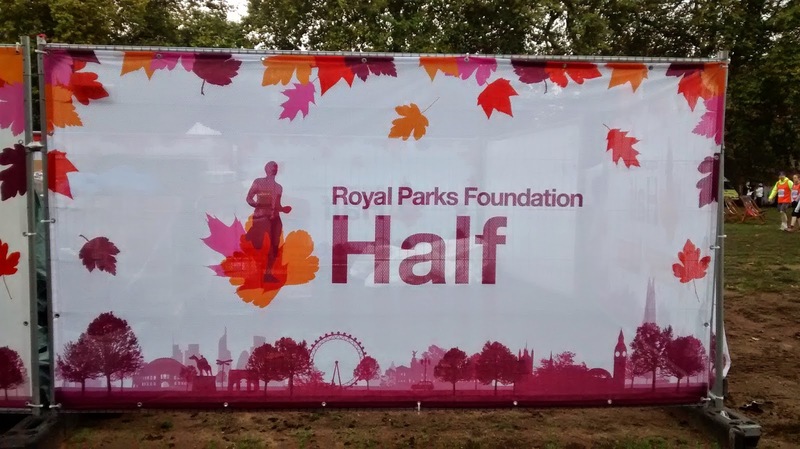 Running the Royal Parks Half 2014 was a real pleasure. 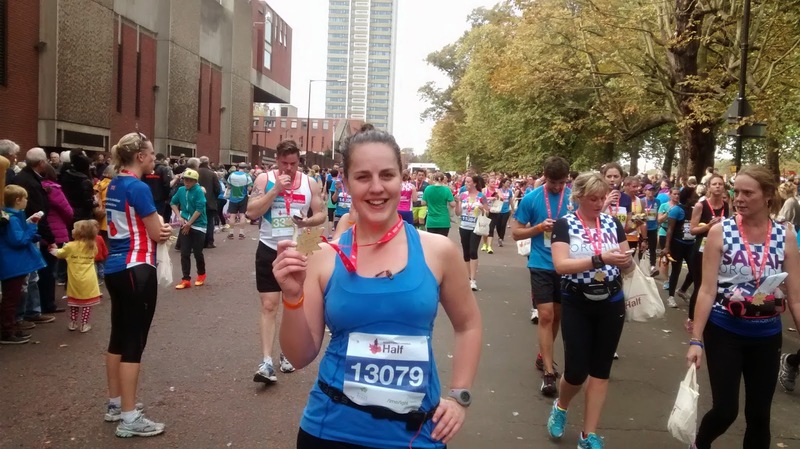 I am totally inspired to keep running and to keep running in London – oh the lucky ones who get to run the VLM.